One of the advantages of being part of the lively IP blogosphere is the opportunity to discuss with good friends and colleagues what’s keeping them busy, what alarms them and what they are looking forward to. Having entered into and gained from such interesting discussions pertaining to the universe of brands this past year, and as his IPKat visit draws to a close, this GreeKat thought to write a series of posts, about the most thought-provoking issues passing through his newsfeeds or e-mail inbox. First up, is the curious and expanding case of brand evaporation in consideration of public texture consumer interests (whether actual or not). 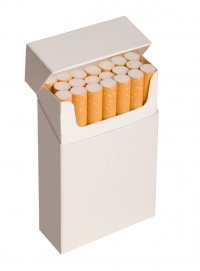 This post will cover the product plain packaging trend. It will be followed by another offering a thought or two on how brands, from lifestyle dictators, may be en route to exile from consumer life, ‘cleansed’ and re-defined by a new regulatory paternalism. Tobacco has been the first terrain of plain packaging initiatives. In December 2012, Australia was the first (currently still the only) jurisdiction to introduce tobacco plain packaging, on the premise that it would potentially bring down tobacco usage. “Plain” may also not be an accurate description in view of the graphic visual elements cigarette packs are to bear. 3 years on there is still considerable debate about the effects of this regulatory initiative. In the meantime, tobacco plain packaging is due for implementation in Ireland and the UK on 20 May 2016, and is under formal consideration in a handful of other countries. Next month, the English courts will hear the tobacco industry’s challenge against the UK tobacco plain packaging scheme. The IPKat has hosted several posts, including this, this and this, as well as one on the economics of cigarette packing, on the various arguments in favour or against tobacco plain packaging. Lord Hoffmann, a former Law Lord, Honorary Professor of Intellectual Property Law at the University of London and Chair of the Institute of Intellectual Property Research Council – well-known to the readers of this blog – issued two opinions in which he concluded that plain packaging constitutes an unlawful deprivation of property. This Kat has but nothing to add. He does feel though that there should be a distinction between regulating advertising and curtailing what the CJEU termed “normal usage” of trade marks (In BAT, C-491/01); that trade marks, comprising “unacceptable” (whatever this means, which is another big discussion) advertising slogans can be tackled via absolute grounds for refusal; and that it would be slightly contradictory that such a mark were registered but then banned from being used for the very reason it should have been rejected. What strikes him the most, though, is the possible expansion of plain packaging initiatives into other areas as well. Those within the IP community arguing against plain packaging warned that it does not revolve only around tobacco, as its underlying simplistic rationale (i.e. that trade marks are a billboard to promote unhealthy goods) is essentially open-ended. 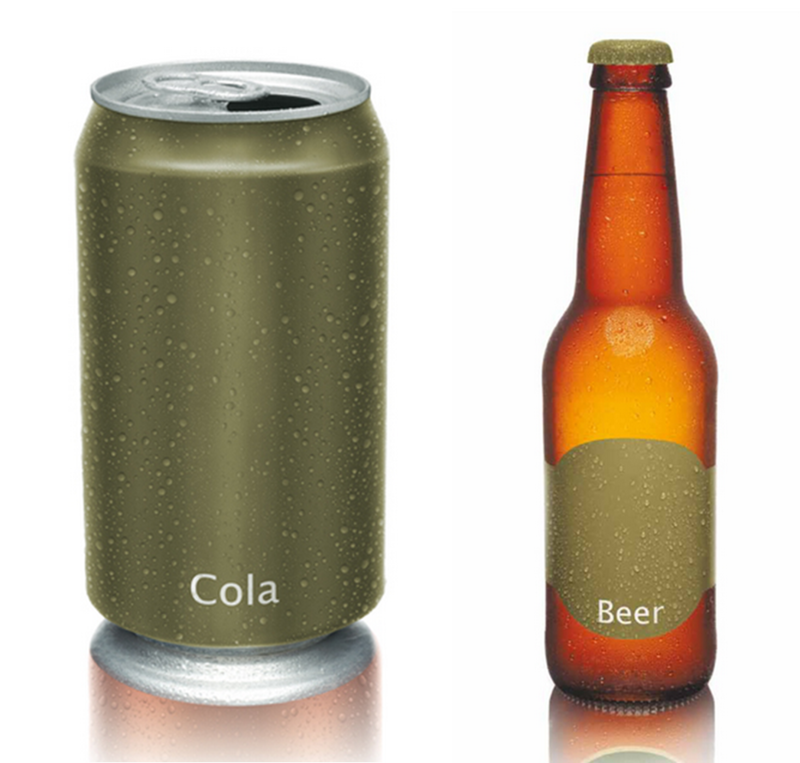 And so it seems to be: back in 2012, a MARQUES Workshop (reported here by the Class 46 blog) discussed a possible spill-over of plain packaging to the alcohol and food industries. Indeed, Indonesian authorities are considering plain packaging for alcohol, in Australia, talk of plain packaging for fast food has begun, and similar initiatives are discussed in connection with sweets and the fight against obesity. Pharmaceuticals may be another sector of plain packaging initiatives, which kind of puzzles this GreeKat, as he would have thought that pharma trade marks would rank high in the list of not extremely attractive trade marks, while the usual intervention of pharmacists would hinder the kinds of marketing techniques used, e.g., in relation to toys (another category discussed for plain packaging based on this story). The above reveal a rather different setting about the relationship between trade marks and consumer protection: we usually argue about whether trade mark law includes a consumer protection aspect or not and ask whether by protecting trade mark rights we also attend to consumers’ interests and welfare (the IPKat has a very informative post on this). We also argue about how the protection of consumers, particularly of sensitive groups, such as children, requires restrictive regulatory intervention via consumer laws, and we discuss whether particular measures are efficient and proportionate. But plain packaging seems to be rooted on the idea that trade marks harm consumer welfare and that consumers are somehow better off if they appear much less on the goods. Does this mean that trade marks, traditionally origin and guarantee indicators and tools to reduce consumer search costs, are unwanted for certain types of products or services? And if so, can we draw that border line? Plain packaging has nothing to do with trade marks. Plain packaging has everything to do with packaging and presentation of the product. Trade marks are one of a vastly larger class of elements that cannot be placed on a "plain-packaged product". Copyrighted images, also, cannot be placed on a "plain-packaged product", yet no-one decries this as unlawful appropriation of copyright. Trade marks can still be affixed to the product per se (inside the plain wrapping), or can be used in relation to other products than the proscribed products. Additionally, word-marks can be used at the point-of-sale - this use of the trade marks is not blocked. In such scenarios, the trade marks would still fulfill their function of guarantor of economic origin. The trade-mark right is a right to exclude, not a right to use. Plain packaging thus cannot deprive the trade-mark owner of his property - he has exactly the same power to exclude as once he had before. I repeat, therefore: Plain packaging has nothing to do with trade marks. I do not find it helpful to classify (in such a conclusory manner) with the word "paternalistic." Part of the legitimate government function is to BE "paternalistic." Using that word in such a presumptive manner merely "gets in the way," and prevents the realization of perhaps the better question of what types of things should or should not fall properly into a zone in which here in the States falls - at least - under the phrase "promote the general welfare." The assertion that the trade mark right is a right to exclude and not a right to use is, in my view, mistaken. While it is certainly true that IP rights are not absolute and must be viewed in relation to their social function, numerous rulings from the Court of Justice of the European Union have confirmed that the subject matter of a trademark is, in particular, to guarantee to the owner that he has the exclusive right to USE that trade mark for the purpose of putting a product on the market – see para 44 Bristol-Myres Squibb and others v Paranova, Case C-427/93. "Para 9 – The specific subject-matter of a trade mark thus has two components. First, there is the right to use the mark for the purpose of putting products protected by it into circulation for the first time in the EC, after which that right is exhausted. Second, there is the right to oppose any use of the trade mark which is liable to impair the guarantee of origin […]." "Para 35 – […] Use by the proprietor is indeed a central and essential element of ownership. […] Use of a trade mark involves identifying the proprietor's goods or services as his own. Although perhaps so self-evident that it may not be specifically set out in trade mark legislation, that is the purpose for which trade marks exist […]." The function and use of trade marks is recognized as the key rationale for trademark protection in the EU. This view finds further support in the principle of the unitary character of CTMs, i.e. a CTM enjoys the same protection, and is subject to the same restrictions, throughout the entire territory of the EU. This principle, also referred to in Article 1(2) of the CTMR, precludes Member States from interfering with the right to USE a CTM as a result of domestic provisions, which I would argue, includes plain packaging law. The flaw in the ‘plain packaging’ laws of France, Ireland and the United Kingdom is that they are a disproportionate and intolerable interference with the trademark rights of their owners, which impair the very substance those rights guarantee. By curtailing the right to use, France, Ireland and the United Kingdom have effectively abolished what Advocate General Jacobs called, the ‘central and essential element of ownership’.